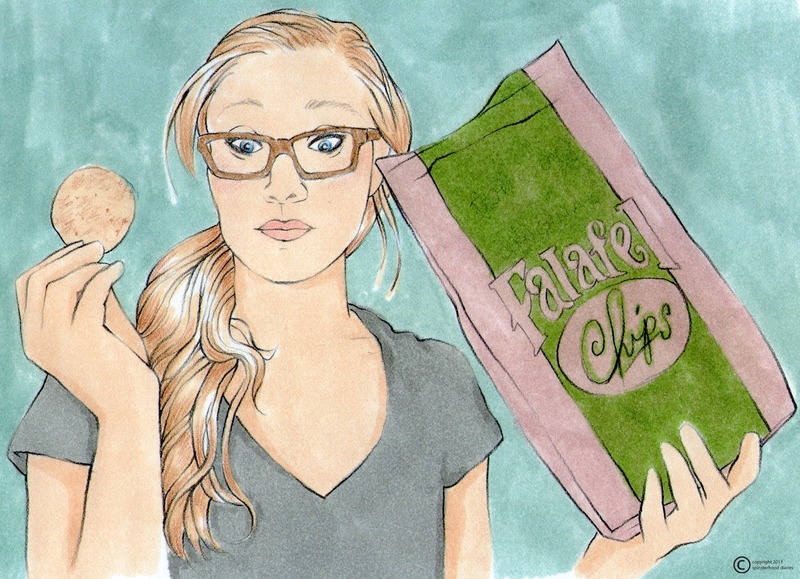 The Spinsterhood Diaries: Where have these been all my life? In an office full of women, there are always snacks to be found. I like to hoard my snacks, but other (crazy) people like to share. This is how I actually ate my first delicious clementine. Fresh Direct had mistakenly delivered a giant bunch of clementines to one of the production girls, and she knew she'd never be able to eat them all. So, because there was such an abundance, and it wasn't dwindling. I had one. And then another, and I'm pretty sure I had another after that, too. My production partner at work often leaves snacks out and about at her desk. I try not to eat hers, though, because I know she'll be around my desk at some point, and I can't be sure I'll be willing to share my snacks with her. But I'm sure we've already covered all of this. Last week, my production partner had a bag of some earthy-looking snack chip at her desk, and I didn't pay it any mind. "You have to try these," she said. So, of course I did. They were lentil chips, and oh, my goodness. I don't know if I'm ever going back. Since that fateful day last week, I've already eaten two full sized bags of Lentil chips in addition to a bag of Humbles Hummus chips, which are also delicious. In fact, Monday night I ate Hummus chips for dinner, and that was all. But then the bag was finished. On my way home last night, I knew I needed to refresh my supply. When I got to Health and Wellness, though, they only had Parmesian Garlic flavored Lentil Chips, and I had my heart set on Sea Salt. 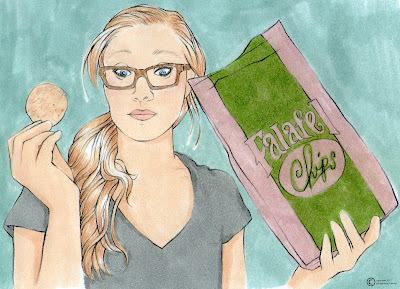 But I bought them anyway, and I also bought my very first bag of something that blew my mind: Falafel Chips. I only wish I had had the foresight to have some kind of tzatziki-tomato-feta mixture to dip them in. Can you imagine? Anyway, I can see this being a huge spinster food for me from now on: chips from the health food store. This way I can pretend I'm being healthy, but we all know I'm not.